1. Must have accepted Jesus Christ as your personal Lord and Savior. 2. Must be in agreement with The Rains of Grace Statement of Faith. 3. 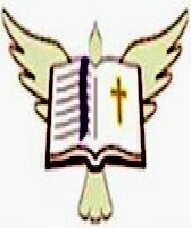 Must posses a spiritual call to Christian ministry and service. 4. Must commit to a life of spiritual growth and service. 5. Must faithfully and consistently support financially Rains of Grace Fellowship as led by the Spirit of God. 6. Must complete the application process, meet the appropriate membership and credential's requirements. A Licensed Minister's credential is a credential which is provided to persons who have biblical, theological training and ministry experience but need further knowledge or experience in order to be established. Such persons are authorized to perform all sacramental services. The following are the requirements to be considered for a Licensed Minister credential within rains of Grace Fellowship. 1. Meet the general requirements for general membership. 2. Be recommended for licensing by your pastor or another pastor of an established congregation. 3. Demonstrate an acceptable level of biblical and theological proficiency. 4. Be recommended for licensing by your peers in Christian ministry. 5. Posses at least an associates degree in the Bible, Theology, or Ministry from an accredited Bible Institute, or College/University. An Ordained Minister's credential is provided to those persons who have an established and proven ministry. The following are the requirements to be considered for an Ordained Minister’s credentials. 1. Meet the general requirements for general membership. Be recommended for ordination by your pastor, church elders or other approved religious leaders. 2. Be recommended by your peers in Christian ministry. 3. Demonstrate a level of biblical and theological proficiency. 4. Have an established and proven ministry (this may include a transfer of ordination from another recognized church, fellowship or denomination). 5. Be performing sacramental services on a regular or ongoing basis. 6. Posses at least an associates degree in the Bible, Theology, or Ministry from an accredited Bible Institute, or College/University. RGFM can provide a spiritual covering, appropriate credentials and the opportunity for affiliation with others who share a like faith and calling. We serve those who desire to network and fellowship with other Christian ministers and churches and to increase their resources in which they may use their gifting/s to the body of Christ.. We provide sound spiritual covering and accountability so that people may flow in the ministry that God has called them to. 1571 Pennsylvania Ave. Suite C.